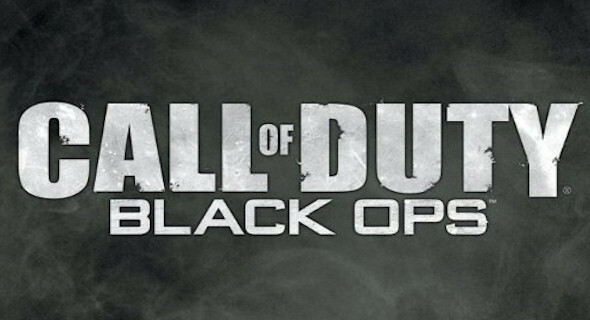 Call of Duty: Black Ops brings back to the series what has been missing in the past few games, a sense of realism. 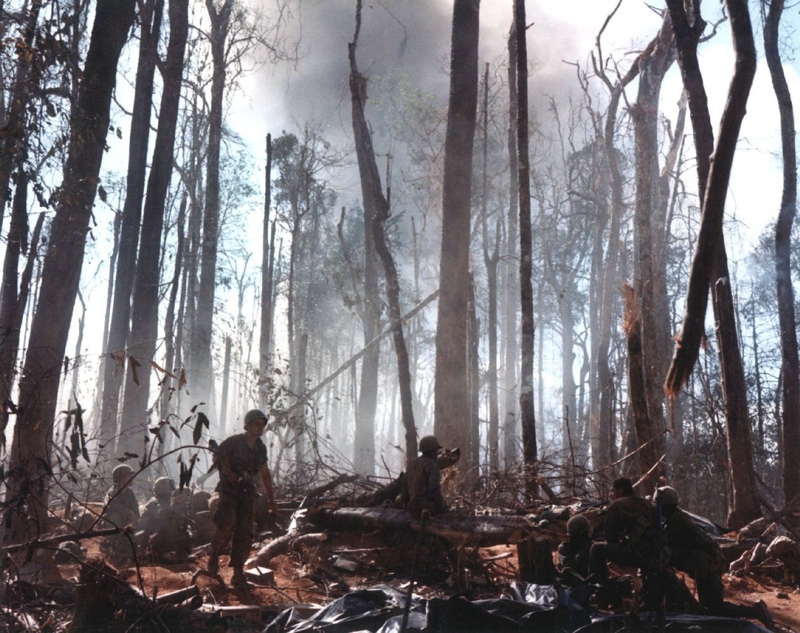 Whether it be the Bay of Pigs invasion in Cuba or battle in the Quang Tri province of South Vietnam, Call of Duty games have made a practice of using real historical scenarios and locations in the telling of their single player campaigns. This holds true, except of course for the last two games. 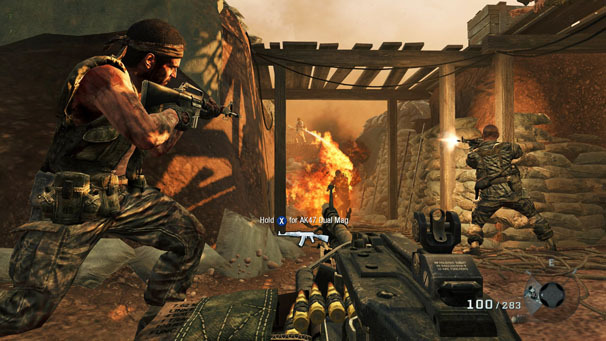 When Infinity Ward released Call of Duty: Modern Warfare, it was a refreshing change of pace for gamers who lamented the fact that most military shooters of time were based in the World War II Theater of combat. Call of Duty: Modern Warfare was released just about 2 months after Halo 3. The public embraced this game. The combat was new and modern, the story was fun and compelling and the voice acting and graphics were top notch. Now featuring a deep and heavily customizable multiplayer system Call of Duty: Modern Warfare was taking a big chunk out of the Halo dominated multiplayer console market; with gamers still playing Halo 2 on the Xbox console, there was hardly any competition for it. Love it or hate it, Call of Duty: Modern Warfare and its sequel Call of Duty: Modern Warfare 2, have been and are still both wildly successful. However they are missing that one stand out characteristic that set this franchise a part, which is the real life chronicled combat history lessons the player would get. It is very easy to write a story where modern day Russian troops parachute into Washington DC, except that game should be called Red Dawn. Moving away from some of the more Michael Bay styled visuals, Call of Duty: Black Ops takes a more Tony Scott approach. The visuals enhance the story, and they happen, regardless of who is watching. Show me 7 Marines stuck in a weapons bunker during the Battle of Khe Sanh, waiting for a napalm drop and I will show you fear and anxiety. I thoroughly enjoyed the single player experience of this game, longer than Call of Duty: Modern Warfare 2 by a few hours this game shows that there are plenty of good stories to be told using history. A common practice in many action shooters is switching the playable character. The player will start off as solider A, and then about a third of the way through the game assume the role of solider B. Solider B will eventually die just as he meets up with the solider A from the first third of the game; only to be introduced to solider C whom will now take over the final act of this FPS drama. I find that kind of story telling annoying as it is predictable. With the exception of someone recounting a story to the protagonist, Call of Duty: Black Ops’ story is told from one man’s perspective and in turn it is one man’s story. Despite the dark tone of Call of Duty: Black Ops, Treyarch knows how to have fun with their product. The highly successful Zombie mode has returned to continue the story that was featured as a bonus in Treyarch’s 2008 release Call of Duty: World At War. The game mode was so popular that it spawned a few DLC updates and continued the story of Nazi undead super science. 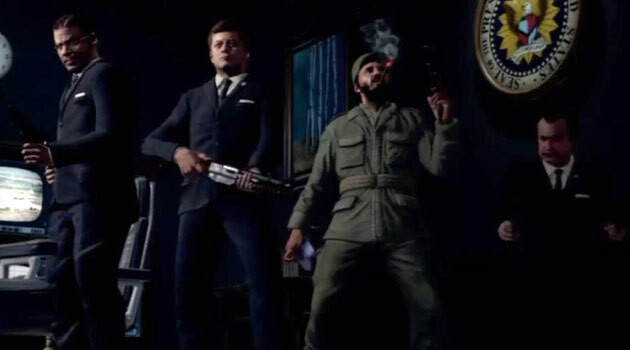 In Call of Duty: Black Ops, after unlocking several elements, the story unfolds and you are able to play as President Kennedy, President Nixon, Fidel Castro, and Secretary of Defense Robert McNamara. Call of Duty: Black Ops, is crammed with even more content, there is an additive mini game called Dead Ops Arcade, and a fully functional game of Zork. Dead Ops Arcade is a frantic top down shooter with game play similar to Smash T.V. It’s a blast and burn through enemies until they overtake you all the while going through a series of fun highly detailed boards. This section of my review is dedicated to the multiplayer portion of the game. When I was in 8th grade I saw the final Dirty Harry movie, The Dead Pool. It was indeed a Dirty Harry movie, he had the big gun, the bad attitude and the setting was San Francisco. There had been 17 years since the first Dirty Harry was made and times had changed from the early 70’s. Guns ‘n Roses made a cameo in the movie and were featured on the soundtrack. This movie had its faults: Jim Carrey lip syncing over, “Welcome to the Jungle,” the absence of Sandra Locke in a Clint Eastwood movie, and the use of a Team Associated RC-10 in a car chase scene. There is not much that is less believable than a car chase on the streets of San Francisco between an Oldsmobile and an electric remote control car. 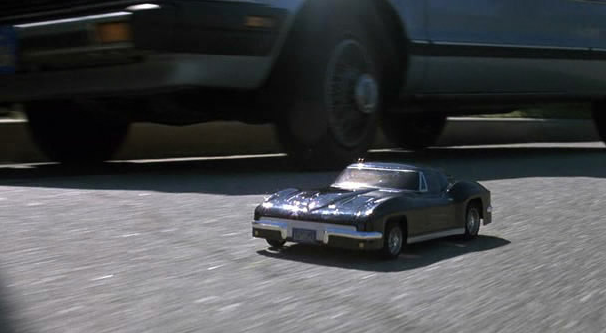 As an 8th grader I enjoyed the hobby of remote control cars, I had at least 2 when that movie came out. I cringe thinking about that scene. Sadly Call of Duty: Black Ops includes its own cringe worthy moments in multiplayer. The Call of Duty series is now known more for its multiplayer than its single player. Call of Duty with all its customizations has created, next to World of Warcraft, one of the biggest MMORPG ever. 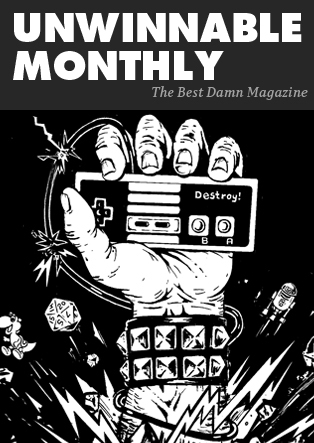 There are always changes and additions to games, and the addition of a remote control car IED to the multiplayer is perhaps the dumbest thing I have ever experienced. I might as well get a jet pack and be able to drop tanks from the sky if you are going to incorporate that kind of fiction to the multiplayer experience. All of the Call of Duty games are devoid of controllable vehicles, except for now remote control cars. Don’t fret you are still able to call in air strikes and bomb the hell out of a building that will never get damage. But that is neither here nor there, and I’m not going to enjoy that the way you might. I like my multiplayer maps wide, Call of Duty maps are tight. Now with the inclusion of remote control cars, multiplayer is one step closer to Romper Room. In short there is really nothing much new when it comes to the online. Despite my snark and disdain for the way the multiplayer is played and those that play it I still think this is the best game in the franchise.